I’m calling this version zero because it’s got no chance. 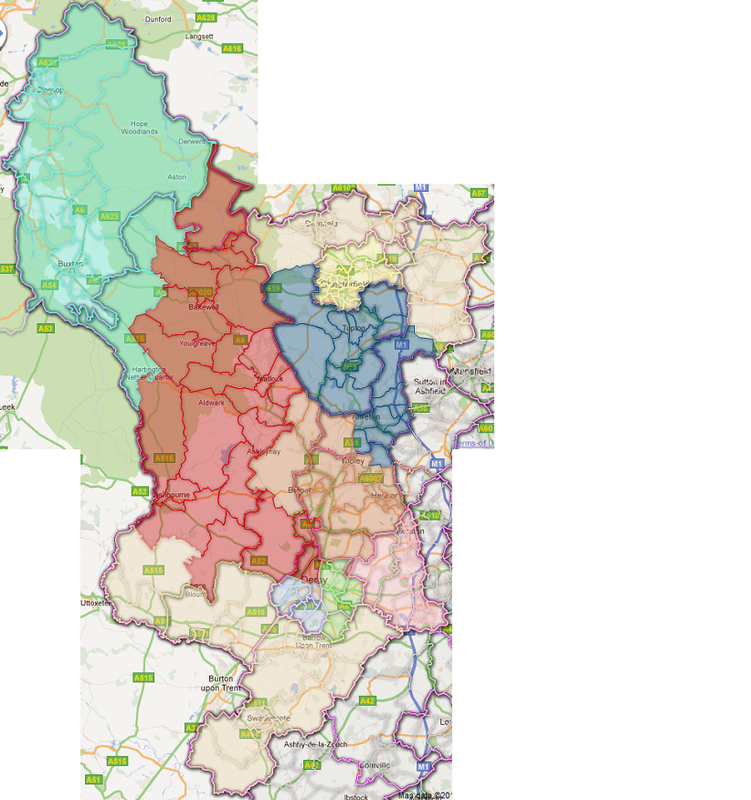 A real problem with redistricting Derbyshire is Alfreton. It’d be good to keep the town in an Amber Valley seat, and it’s possible to arrange the north east okay if you do that, but the three seats are undersize, making it impossible to redistrict the rest of the county. 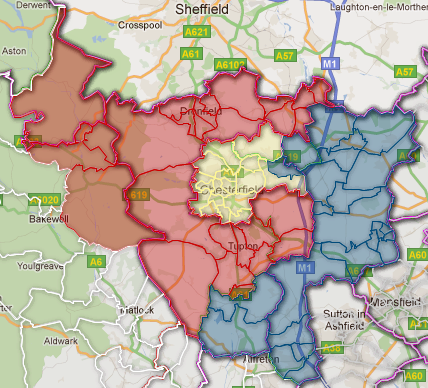 If you put all four Alfreton wards in the Bolsover seat, it’s hard to divide so many electors between three north-east seats. It is possible, as you can see, by having a novel north-south arrangement, but I know from the last review that dividing the north east that way isn’t considered acceptable.